I’m a quarter Irish, not to shabby (as Adam Sandler would say)… so what better way to start off my St. Patrick’s Day than with green powerhouse drink? You all know there is no way I am having Corned Beef and Cabbage today. Even when I did eat red meat, this was one dish I just could not stomach… to me, if you pull on a slice of corned beef, it looks like it is connected with spider webs. GAG. I am 100% certain that my mom is cooking it tonight and the rest of my family is drooling at the prospect. I’m the outlier. So I celebrate St. Patty’s day with other things… like Irish Soda Bread and… um… well, that’s about it. Irish food isn’t quite my forte. But this juice IS green and it’s delicious… so that must count for something! St. Patrick’s Day is celebrated on March 17, his religious feast day and the anniversary of his death in the fifth century. The Irish have observed this day as a religious holiday for over a thousand years. On St. Patrick’s Day, which falls during the Christian season of Lent, Irish families would traditionally attend church in the morning and celebrate in the afternoon. Lenten prohibitions against the consumption of meat were waived and people would dance, drink, and feast—on the traditional meal of Irish bacon and cabbage. The first St. Patrick’s Day parade took place not in Ireland, but in the United States. Irish soldiers serving in the English military marched through New York City on March 17, 1762. Along with their music, the parade helped the soldiers to reconnect with their Irish roots, as well as fellow Irishmen serving in the English army. Over the next thirty-five years, Irish patriotism among American immigrants flourished, prompting the rise of so-called “Irish Aid” societies, like the Friendly Sons of Saint Patrick and the Hibernian Society. Each group would hold annual parades featuring bagpipes (which actually first became popular in the Scottish and British armies) and drums. Each year, nearly three million people line the one-and-a-half mile parade route to watch the procession, which takes more than five hours. Boston (our parade was this past Sunday), Chicago, Philadelphia, and Savannah also celebrate the day with parades including between 10,000 to 20,000 participants. 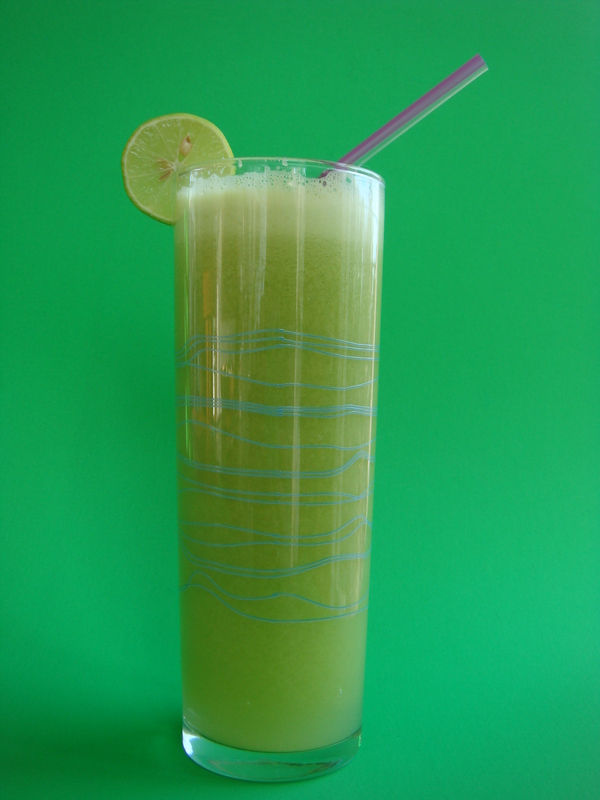 Juice all, garnish with key lime slice and serve immediately. It couldn’t be easier or more delicious! 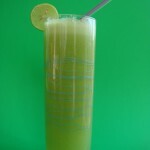 And if this doesn’t sound filling enough, just add in half an avocado for a more smoothie-like and hearty concoction. Or, if you really want to be Irish, throw in a handful of green cabbage as well. One final comment… as I type this, I am finishing off my juice. 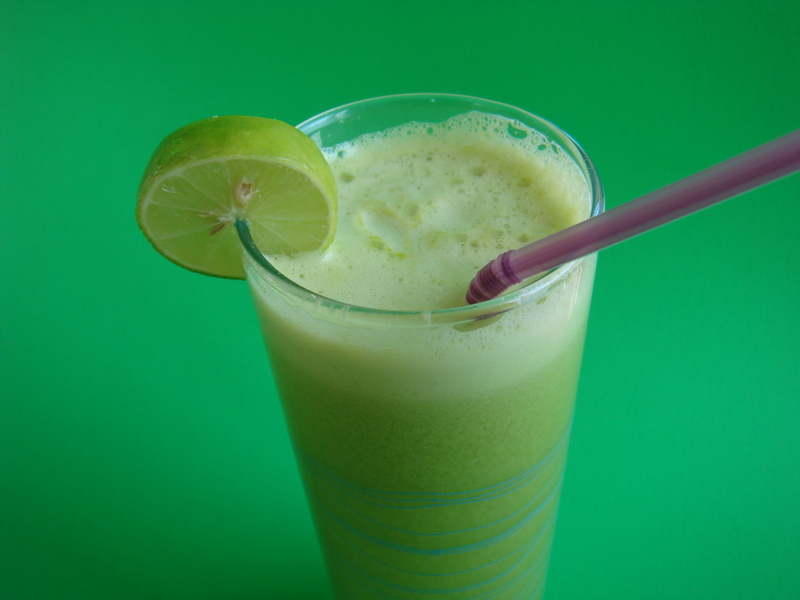 The lime, ginger and broccoli tend to settle to the bottom of the cup… which makes for a fairly potent combination. The key limes are too small to peel, so you get that sharp bitterness… Make sure you mix as you drink to avoid this! Check back later, as I have a Green Theme planned for today… with several posts relating to anything and everything green.